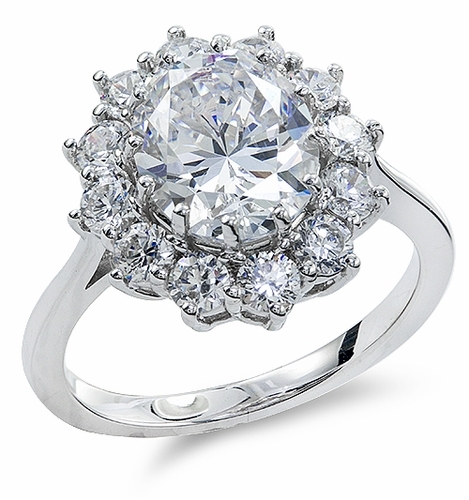 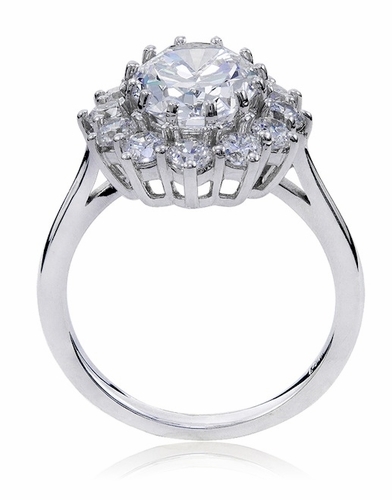 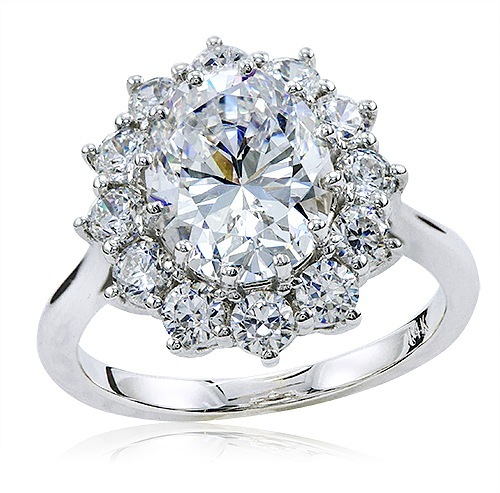 This 1.50 Carat Cubic Zirconia Oval Halo Cluster Kate Middleton Style Inspired Engagement Ring features the finest and best quality man made lab created diamond simulant Russian formula cubic zirconia stones. 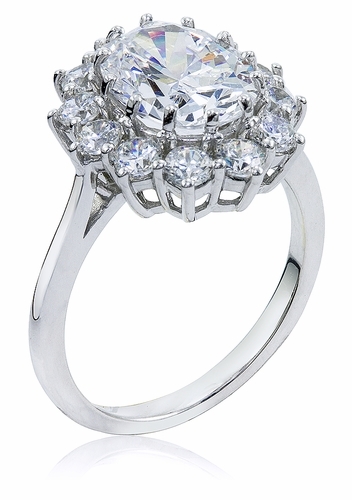 This gorgeous cluster ring with historic design elements that range back to the Lady Diana royal engagement ring features a 9x7mm 1.50 carat oval center stone surrounded by a single row of prong set round diamond quality cubic zirconia stones. 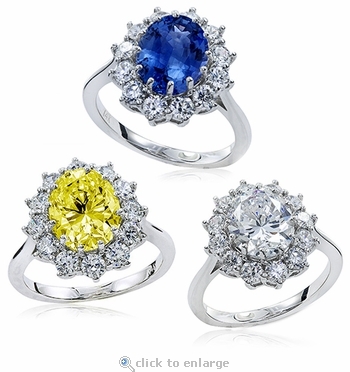 See menu options below for center stone color options as well ring sizes. 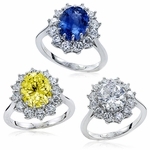 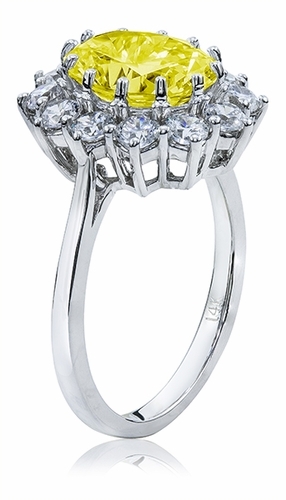 Available with your choice of diamond, canary or sapphire Ziamond center stone options.